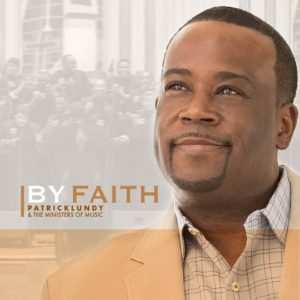 Taking its text from Psalm 100:4, the song features full production, a solid backbeat, and stirring singing that evokes Ricky Dillard’s work. The song belongs as much to the choir as to the single’s fiery lead singers, Beverly Reynolds and Jacqulyn Sanders. The album version transitions into a praise break—‘nuff said! The Georgia-born director and songwriter Lundy honed his craft through music ministry at the First Missionary Baptist Church in Thomasville, Georgia; at the university level; and through charter membership in the Georgia Mass Choir, among other opportunities. Check out JGM’s interview with Lundy, to be posted later this week.